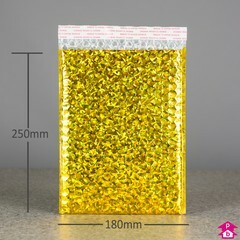 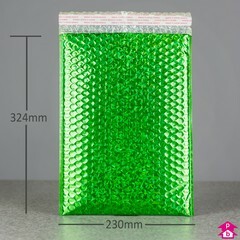 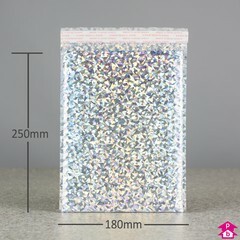 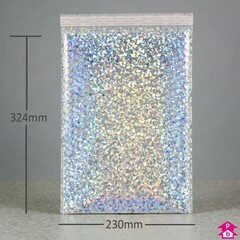 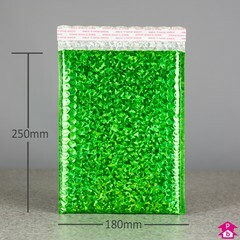 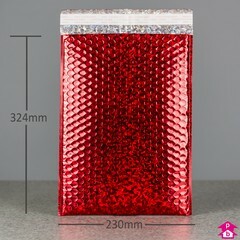 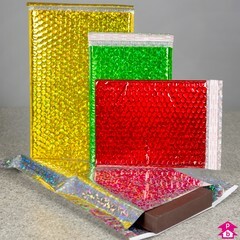 Eye catching bubble-lined foil mailing bags that sparkle and reflect light with a holographic effect. 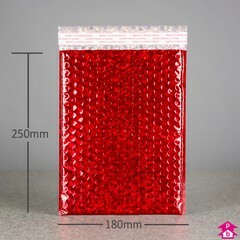 Peel-and-seal adhesive strips for easy sealing. 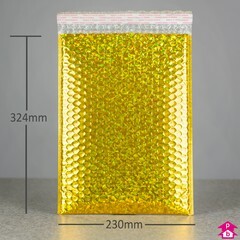 Perfect for high-impact mailings where the contents need a little more protection in the post... great for totally wowwing your customers!